Two of City's summer signings start as the Bluebirds play their final pre-season friendly. 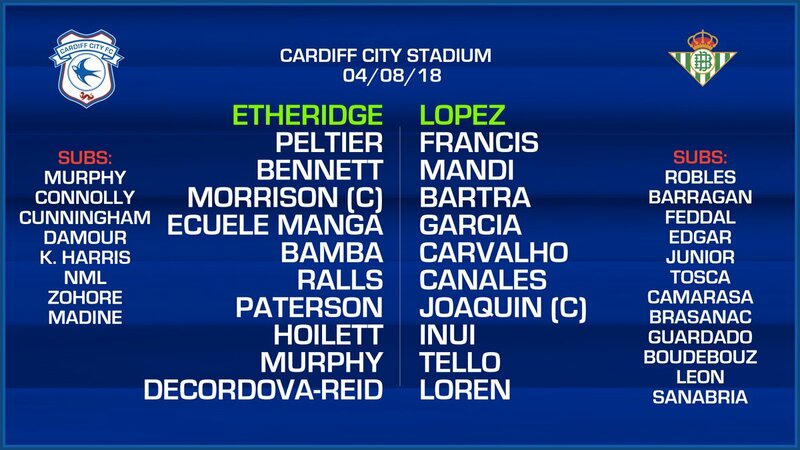 Bobby Reid and Josh Murphy start as Cardiff City welcome La Liga side Real Betis to CCS this afternoon. The game kicks off at 5:15pm and is live on S4C. Callum Patersona and Joe Ralls anchor the midfielder with Junior Hoilett and Josh Murphy supporting striker Bobby Reid. Cardiff start the Premier League season away at Bournemouth next Saturday ko 3pm. Bournemouth faced Betis last night at Dean Court with the visitors winning 2 - 0 with goals from RYAD BOUDEBOUZ 17' and LOREN MORON 90'. 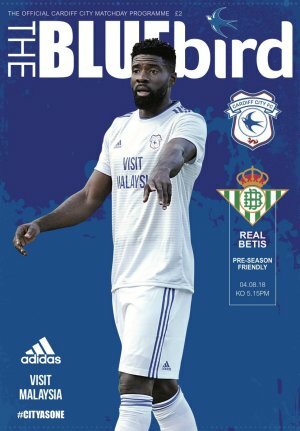 So let's see how Cardiff do against the Spanish side. Cardiff City Stadium, ko 5:15pm.